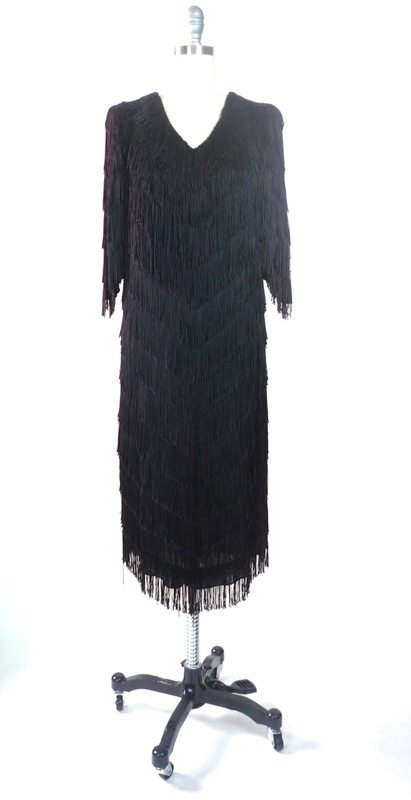 This late 80s fabulous Fringe dress could be that perfect Halloween foundation! 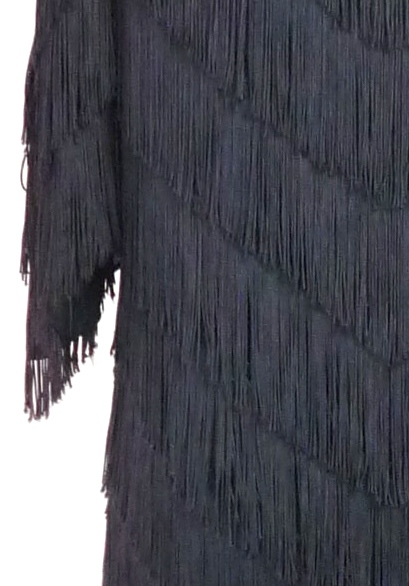 This amazing dress is head to toe black fringe-spastic, with that ever versatile, Tunic cut. Has a matching front and back Plunge neckline, and elbow length sleeves, straight cut. Finally, with a slight Asymmetrical front to back detail, the dress falls to a lovely Cocktail length. 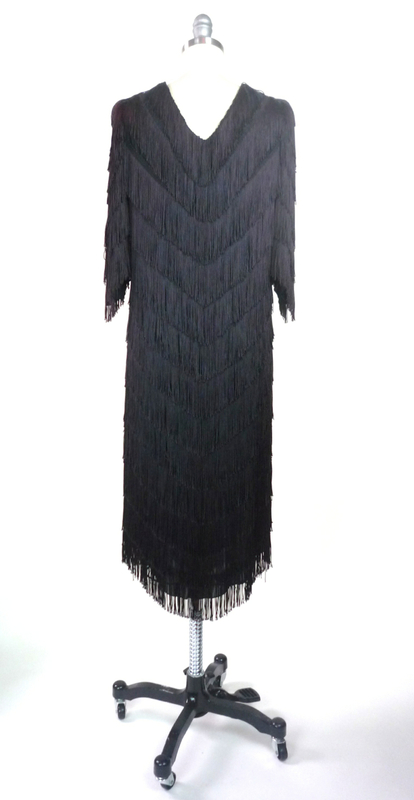 Wear this dress with a raven feather in your hair, dainty, black stilettos, boots, or High Top Chucks (my favourite); use your imagination, as really anything could work!